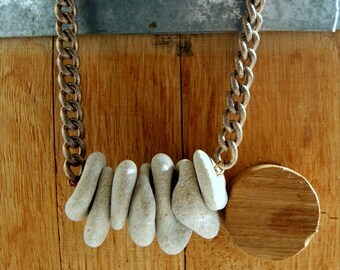 A single beige colored beach stone with a natural hole, commonly called 'hag stones', hangs from a vintage stainless steel curb chain*. The necklace closes with a spring ring clasp. The stones are approximately 7/8" long. This necklace measures 24". If you would like it shortened, leave me a message when you check out to let me know the length that you'd prefer. 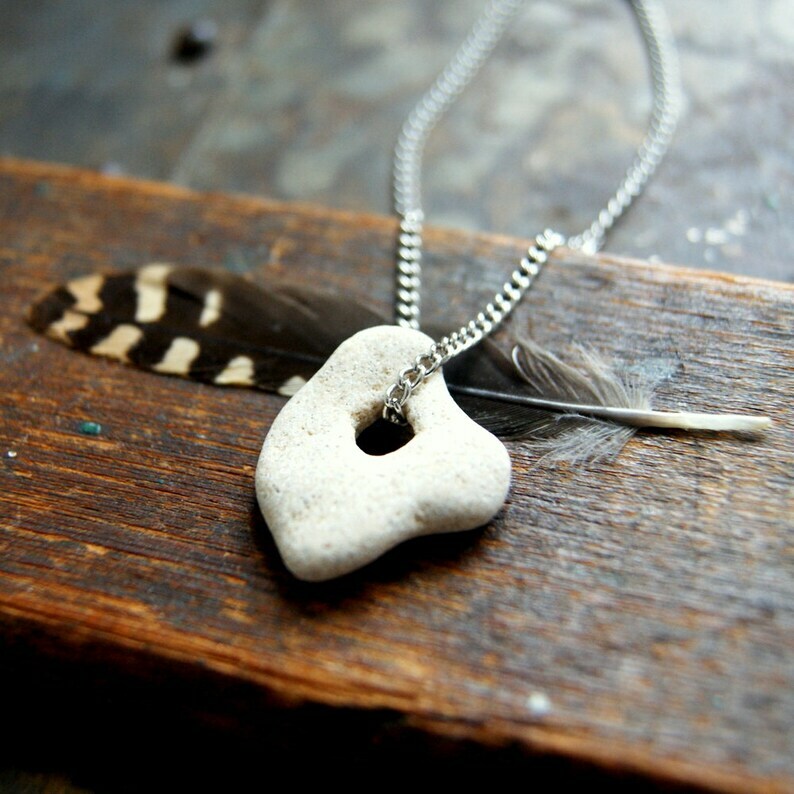 *Choose the stone that you'd like at checkout. You can see the available ones in the last photo.